Comfortable living space is offered in each of the 34 bedrooms. 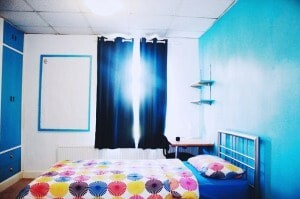 Boarders are accommodated in double or triple rooms each offering built-in wardrobes, desks and en-suite facilities. Many of the rooms offer woodland views over Stanborough Park. Girls and boys have separate floor corridors and junior and senior students are preferably accommodated in separate rooms to allow a better studying environment.